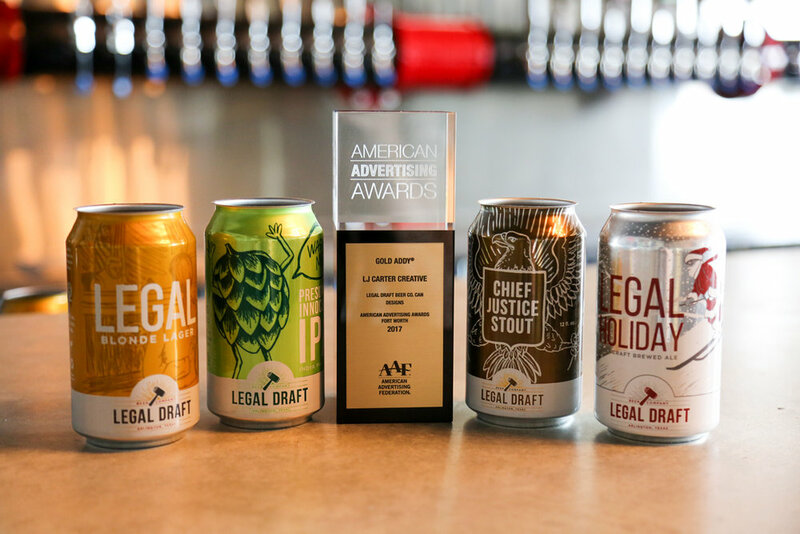 Legal Draft opened their taproom and brewery July 2016 but the story began way before that. The passion for starting a brewery began years ago for friends and Founders Greg McCarthy and Curt Taylor. When they were ready to give up their day jobs (hint, one was a lawyer) and take the leap into malt, hops and liquid gold they approached me about working with them to establish the brand. Sitting in a local coffee shop over two years ago the vision became tangible and the name established along with a long list of beer name ideas. We hit the ground running. After the logo, immediately came the first two can designs for the blonde and amber lagers. The rest has been a whirlwind. These guys trust me to work on their branding, packaging, website, point of sale, photography, social media, email marketing, merchandise and other fun odds and ends a growing company needs.